To many believers, Atheists come off as angry. While we may have reasons for our anger in response to arrogance and legal abuse by theists, we sometimes forget that atheism is a form of liberation. This liberation can provide nontheists with daily joy in how we see the world. 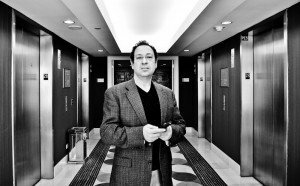 Dr. David Orenstein will talk about these joys and why we must not back away from our positive message of being good without god. The presentation “The Joy of Free-Thinking,” will take place at the Free Library of Philadelphia (1901 Vine Street, Philadelphia, Pennsylvania) in the Montgomery Auditorium (located on the basement level) at 7:00 PM on Monday, June 18, 2012. This is a free and open to the public event; however, a donation of $5 is suggested. 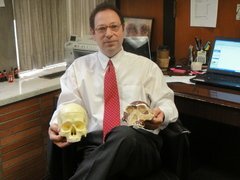 Dr. Orenstein is a professor of anthropology at Warren County Community College. His popular science and atheist themed blog can be found at: www.paleolibrarian.info The Freethought Society is honored to host Dr. Orenstein who recently spoke at the first annual Philippine Atheist and Agnostic Society Conference held in Manila the weekend of April 21, 2012. He is writing a book about how atheists can and are making a positive difference in the world. Please RSVP via our Facebook or Meetup Pages.